As technology evolves, so do the security threats that continue to hound IT networks. New vulnerabilities and sophisticated methods are regularly being discovered by experts and IT support teams, many of which are likely being exploited by cyber criminals as soon as they are found. This is because they have better tools, knowledge and expertise by which to find privileged company information, penetrate firewalls, or probe networks, and then send the confidential data they’ve taken to their own home or private controllers. Furthermore, cyber criminals continue to use social media and the Internet to spot key company personnel who could possess classified information, using what they know to gain access to the organizations these employees are affiliated with. The rise of the Internet of Things and our dependence on products that have been embedded with Internet-based architectures have made it easier and faster to conduct business operations, but it comes at a price: the seamless connectivity among devices have likewise made it easier for criminals to infiltrate your system well. The best response against cyber attacks will depend upon the situation. New threats appear from improved existing tactics while old hacking tricks can still work with enough creativity and precise execution. There’s the evolution of ransomware, the resurgence of DDoS, the risk of insider threats and combination of cyber attacks with old school heist. Just when you think that the back door is locked and the dogs will keep the thieves out your front door, there’s always that one person who gets creative enough to be one step ahead. Fortunately, it can be said that the common thread among cyber attacks are system vulnerabilities and human error that create permeable spots in your network. Once you have the best practices in place, it will create a mitigation strategy. Here are five ways that can help you manage cyber threats in an ever changing cyber security landscape. 1. Have a trusted white-listing capability in place. However, it’s still important to monitor your network for suspicious activity even with a secure white-list. Criminal hackers today are skilled enough to pass as network or system administrators. 2. Use identity management software to protect access privileges and prevent data loss. One of the most popular attack vectors that hackers use is identity, wherein they gain entry through key employees with authorized access to privileged information. You must define who these key personnel are, and protect their credentials by using tools to help increase security and lessen the chances of penetrating their access and authority. Supplement your policy process with identity management software, where strict measures are enforced that apply to everyone, even the C-Suite. At the same time, a solid data loss prevention protection solution can protect even the smallest bit of confidential information from going out of your network, which will help, even if there are no identity management solutions in place, but addresses the entire information assets of the business. 3. Conduct regular awareness training. Awareness training is about disseminating updates through team huddles, short morning debriefs, case studies, role playing or training via virtual classrooms, and online refresher training. Aside from those effective methods, you can also invest in software that conducts random tests throughout the year to keep employees on their toes. The most advanced malware infections are the product of phishing, malvertisement, and spoofing. 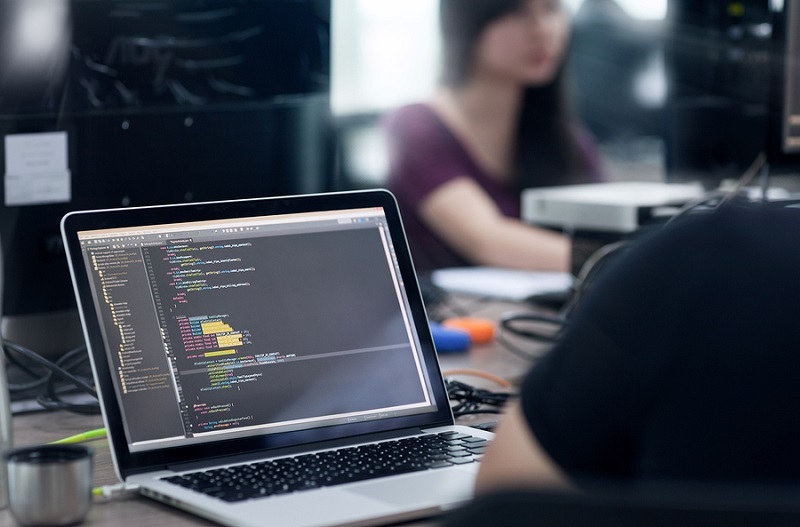 A software that launches these tests throughout the year is an effective means of ensuring that employees stay alert and that they always keep aware of these common entryways the hackers use to infiltrate the system. 4. When it comes to software, less is more. You will need software that guards your network against both internal and external threats. On top of that, it’s advisable to focus on five of the most common entry points for hackers to penetrate—website, your perimeter, network, endpoints, and programs/files/databases. There are more than 435 software packages to choose from that specialize in either one of those attack vectors. Take the time to consult with a security expert to help you identify which software products suit your business needs the most. Chances are, having a subscription to only a few but highly specialized software systems are enough to provide you adequate protection without getting entangled in a lot of unnecessary apps or tools, not to the mention the added cost. 5. Assign a dedicated team. Technology cannot adequately replace having a team dedicated to monitoring security threats that might come into the horizon. Software can only do so much. So, you must have the ability to monitor the integrity of your IT system on a 24/7 basis. Remember that it only takes an hour for the best infiltrating tools to do their work on your infrastructure, so if you only have someone checking it during working hours, you’re vulnerable the rest of the time. Do this by building a staff that works under a shifting schedule, including weekends and non-work hours. Another viable option is hiring a third party IT security provider. Also, don’t forget to assemble a response team that will be responsible for developing and implementing your cyber incident response plan. This will ensure that whatever type of cyber attack you experience will be handled and dealt with properly. Unfortunately, cyber attacks are here to stay. Thus, it is best to face this fact and prepare adequately as much as you can. It is possible to avoid or, at the very least, lessen the adverse effects by regular updating your company’s security measures. Such policies must include a step by step disaster recovery process that is clearly communicated to everyone on your team. Nothing is completely guaranteed, but doing your own due diligence and adopting a multilayered defense strategy will pay off should a major cyber attack strike.